The Rhythm series forks offer premium performance at a budget price. Mountain biking is not a cheap hobby. Even affordable bikes retail for hundreds more than a questionable used car. For those of us who don’t work in a legal or medical office, that can mean months of agonizing over the performance, weight, and cost of potential upgrades. Luckily, some brands get it, which is why the Mtbr pick for the best fork of 2016 is Fox’s new entry level Rhythm series. This model is only available on complete bikes that retail for roughly $3000 or less. 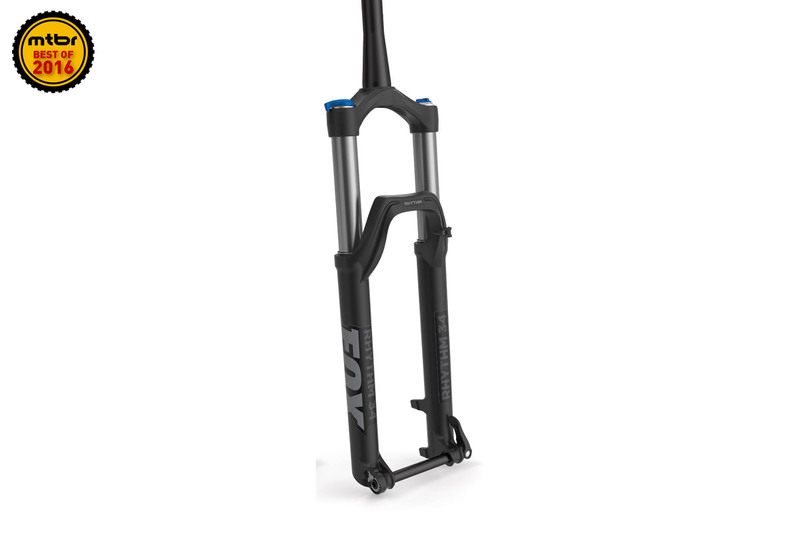 Despite being budget friendly, these forks offer virtually the same level of performance as Fox’s higher end offerings. The secret is the new FIT GRIP Damper. In the past, Fox’s entry level models used an open bath. This system is extremely reliable, but flawed. Because the air and oil are free to mix, performance can be inconsistent when things get rowdy. And since you need a lot more oil, the forks tended to be heavier. 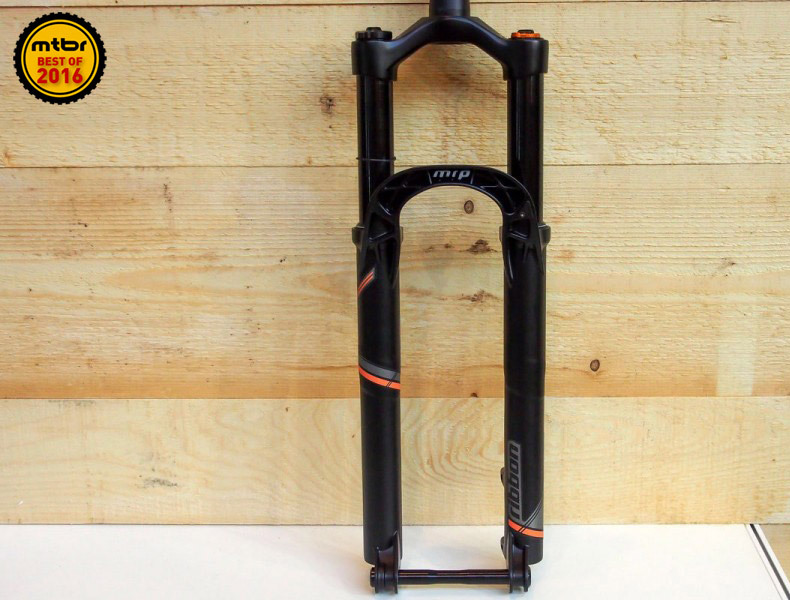 The FIT GRIP Damper is available in the Performance and Rhythm series forks. The Performance model offers more settings and shares the same chassis as the Kashima coated models. The Rhythm fork uses a heavier chassis, but shares the same air spring, tunability, and GRIP damper. Like the highly regarded FIT4 system found in pricier models, the FIT GRIP is a closed cartridge design. The difference is in how it handles oil displacement. While the FIT4 has an expanding bladder, the GRIP damper uses a spring backed internal floating piston (IFP). We’ve seen spring backed IFP designs before, but what makes this implementation special is the so called Purge Port. At bottom out, the fork can self bleed. Unlike the FIT4 which must be vacuum bleed during assembly, the GRIP Damper can expel oil and air by itself. That means it’s easier to service, which makes it cheaper to maintain and helps increase reliability. None of this matters if the performance isn’t there, but the new Rhythm series delivers. In a back-to-back blind test, we’d struggle to pick the FIT4 equipped models from those with a GRIP damper. For that reason, the Rhythm is the best entry level fork we’ve tested. We know it’s not the blingy aftermarket piece you expected to win a Best of 2016 award, but it brings unprecedented performance to riders on a budget and that is worth celebrating. Thanks, Fox. For more info, check out our first look here. Freshly updated with redesigned chassis, damper, and internals, the RockShox SID is now more plush and lighter. 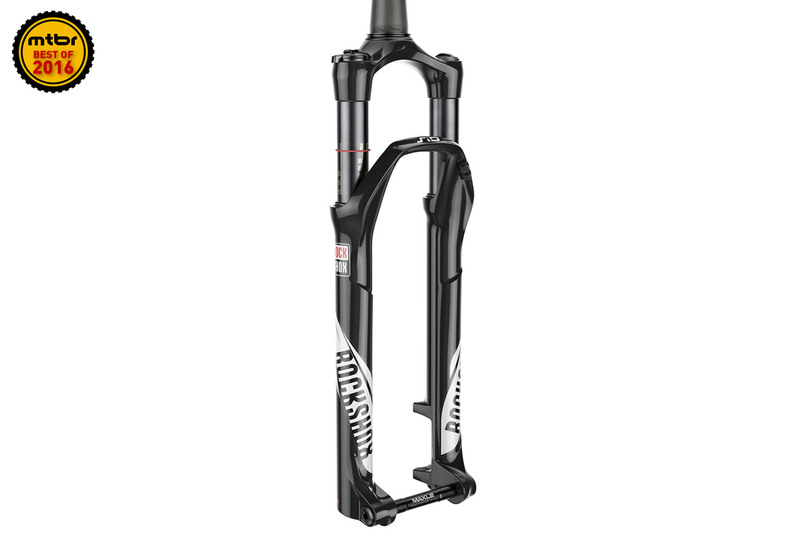 The RockShox SID is the most successful cross-country race fork on the market. It has won gold in every Olympic game since 2000. This year, it received a major overhaul. In addition to new compression damping, upgraded seals, and bushings, RockShox gave it the same heart and soul as the longer travel Pike. Now equipped with a Charger damper, bottomless tokens, heavily reshaped lowers, and carbon crown, the SID is lighter and more plush than ever. Performance wise, it narrowly edges out the new Fox Step-Cast, but that buttery goodness comes at a small weight penalty. For more info, check out our first look here. If you enjoy tinkering, there’s a lot to like about MRP’s new Ribbon fork. If we had to define the new MRP Ribbon in one word, it would be “clever.” The fork uses what MRP calls an “outcast arch design,” which places the weight saving lattice on the exterior of the fork arch. This gives the Ribbon a distinct look, while also reducing mud build up, which means less wear and tear on your internals. Internally, they’ve also chosen to think different. 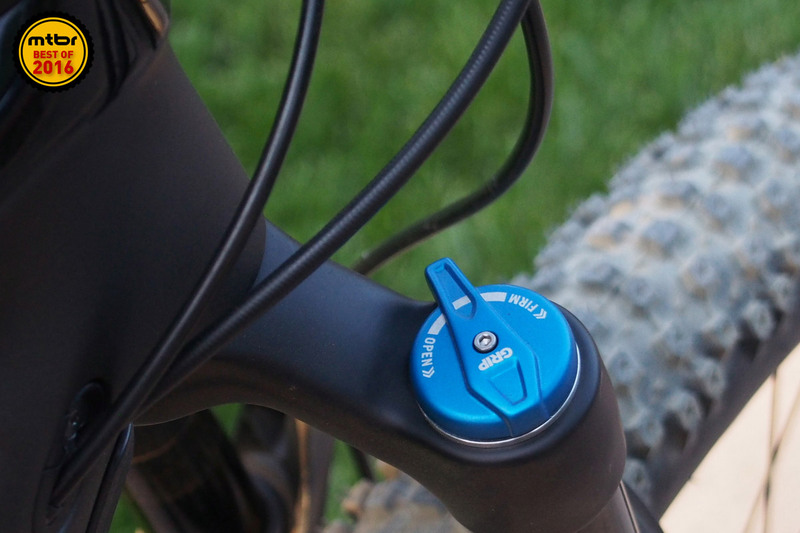 Unlike most gravity oriented forks on the market, the Ribbon features a dual air chamber. This allows you to independently adjust the positive and negative air. The other neat feature is Ramp Control, which works like the token system employed by the big boys, but doesn’t require tools and can be adjusted on-the-fly while riding. For more info, check out our first look here. Freshly updated with redesigned chassis, damper, and internals, the new RockShox SID is now plusher and lighter.